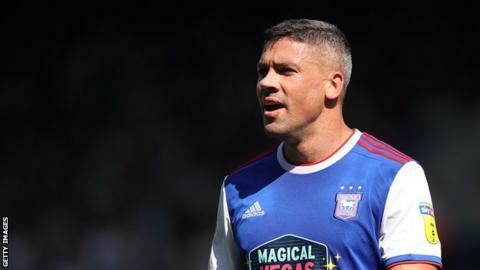 Ipswich striker Jon Walters has been ruled out for six months with an Achilles injury. The Republic of Ireland striker, 35, was injured in the second half of Saturday's goalless draw with Bolton. The on-loan Burnley forward will not require surgery for the partial rupture of his Achilles but will return to the Clarets for rehabilitation. He said: "While I'm really disappointed, there are a lot of people worse off than me." The Republic of Ireland international added on the club website: "I'll work hard and get back to fitness as soon as I can. I've enjoyed being back here and I want to wish the club all the best for the rest of the season." The news means Walters will miss next month's Nations League games against Denmark and Wales.